Backyard Hi-Fi Sessions is a celebration of sound system culture in New York City, a Dub-Stuy event series held on the last sunday of June, July, and September 2016 in the backyard of Trans-Pecos with live DJs and MCs, food, drinks, and games. 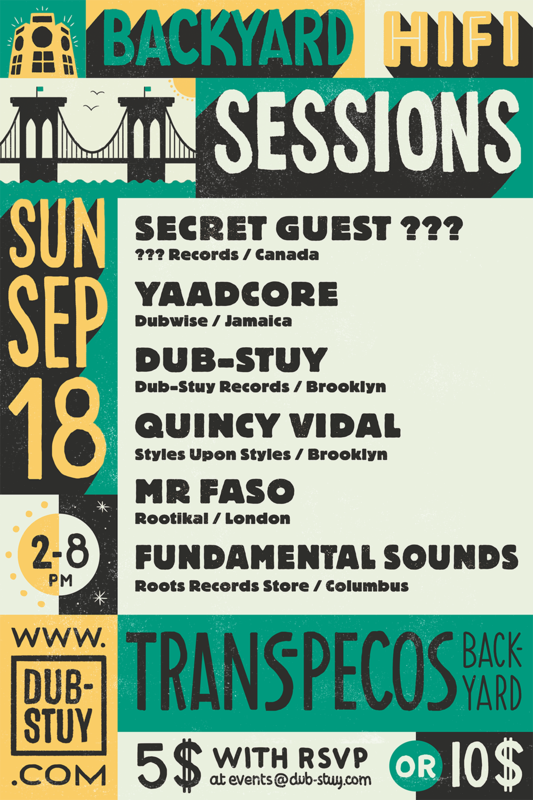 Backyard Hi-Fi concludes its summer 2016 sessions with one last and loud bash on September 18 featuring guests from Canada, Jamaica, London, Ohio, and Brooklyn. Kingston’s Yaadcore is an acclaimed radio host and DJ for Protoje who runs the weekly Dubwise Jamaica events. 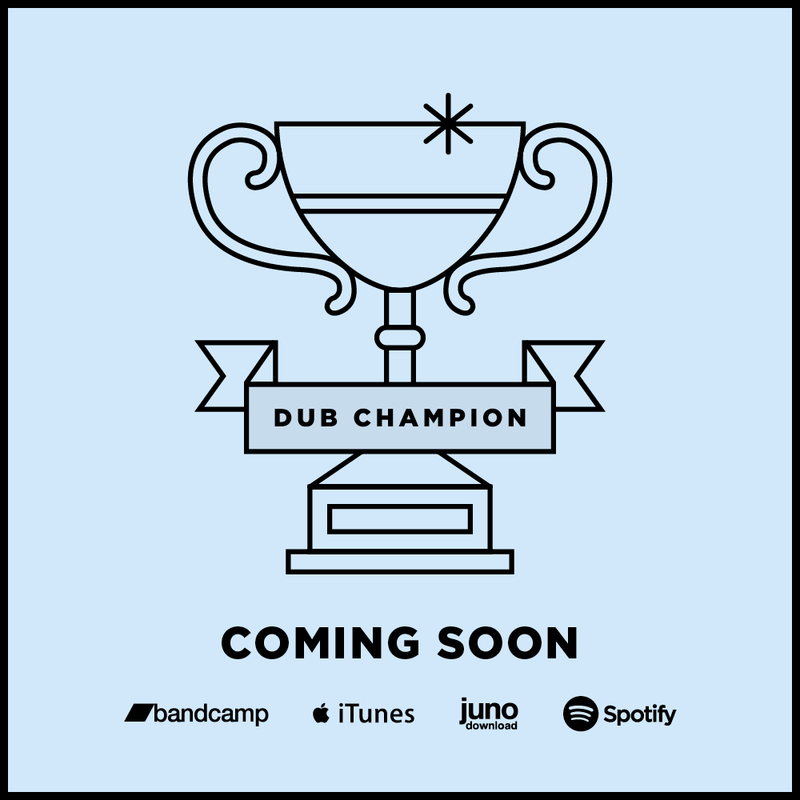 A lifelong obsessive of sound systems, expect a wide and vibrating selection from the man. Joining him will be Italian-born, London-based Mr. Faso, who runs the Rootikal parties in the British capital and plays regularly with Sir David Rodigan and Aba Shanti I. The afternoon will also see a showcase from Brooklyn’s own Quincy Vidal, one of the freshest rap crews to come out of Bed-Stuy. The duo of MCs Le’Asha Julius and CE, who joined the Brooklyn label Styles Upon Styles this year, bring with them a sound that traces across eras of rap and has seen them support Kendrick Lamar and Talib Kweli. As always Dub-Stuy selectors and MCs will be keeping the vibe nice throughout the afternoon, with some help from Columbus, Ohio, record heads Fundamental Sounds. Topping this bill and closing the 2016 Backyard Hi-Fi Sessions will be a very special guest from Canada playing their first NYC set in four years. Look out for a reveal of their name in the days before the show and come celebrate the end of summer with us!